BESIII Collaboration, Observation of the decay Λc +→ Σ−π+π+π0, Phys. Lett. B 772, 388 (2017). 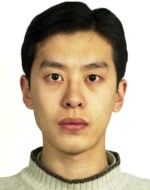 Xiao-Rui Lu (for the HERMES Collaboration), “Spin Structure of the Nucleon Studied at HERMES,” Proc. INPC2007, (Tokyo 2007), Nucl. Phys. A805, Volume 2, 129 (2008). HERMES Collaboration, “Longitudinal spin transfer to the Lambda hyperon in semi-inclusive deep-inelastic scattering,” Phys. Rev. D 74, 072004 (2006).